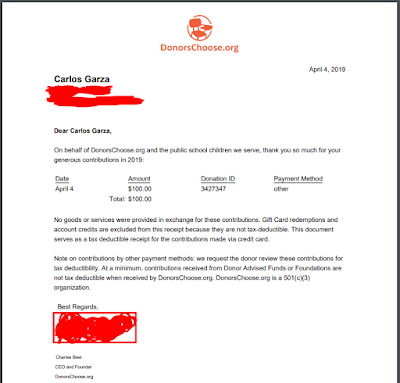 Not all businesses have a credit card but prefer to use a check. 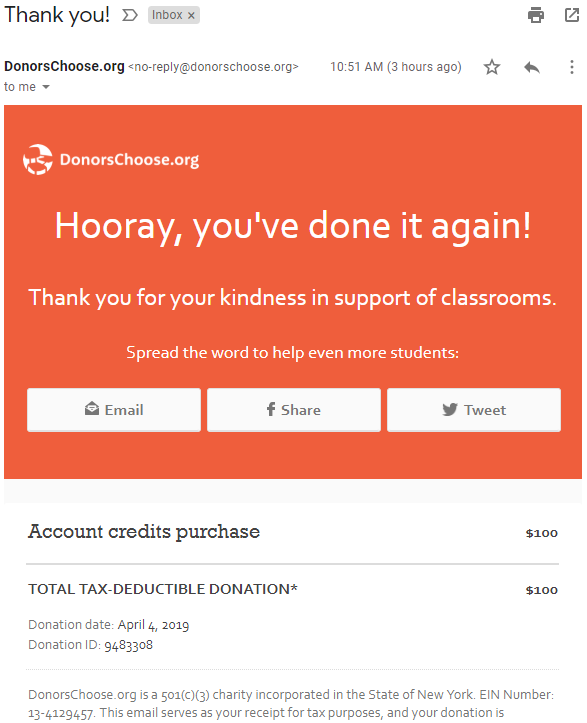 DonorsChoose.org is a 501.c.3 Non-Profit. 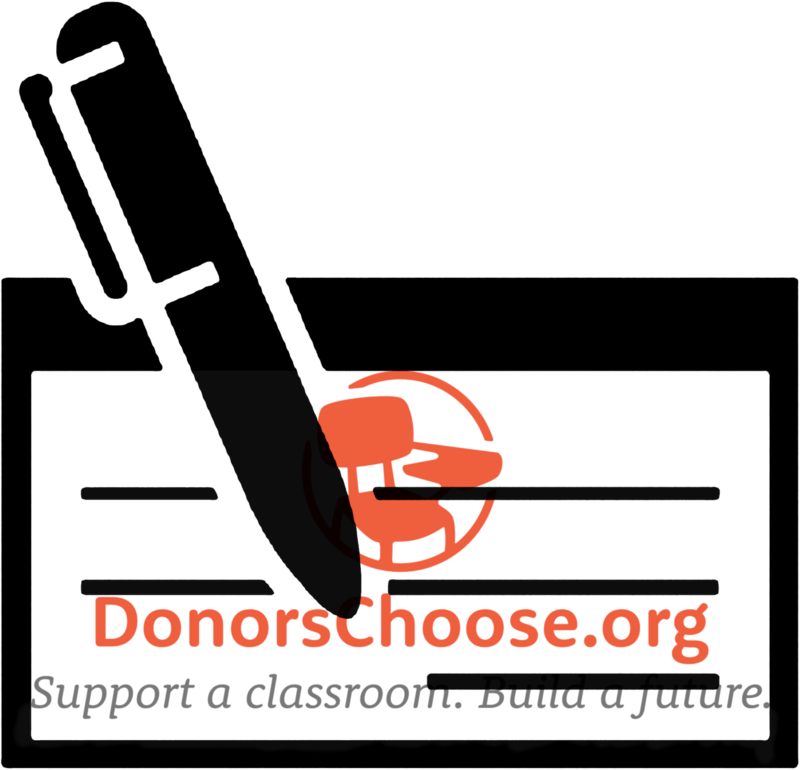 Businesses like this type of organization because they can help others and it's tax deductible. 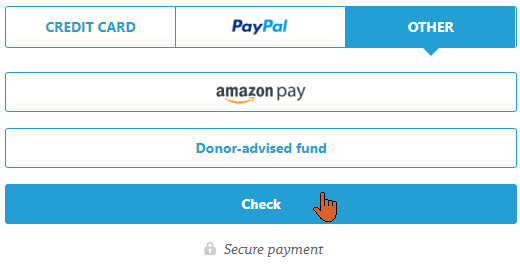 Select OTHER under "Complete your donation"
Then the button "Place my donation"
If you don't have an account, check you email for login instructions. Send your check as instructed by (another) email. You will receive an email stating that your account was credited. Select Giving History under your account menu. 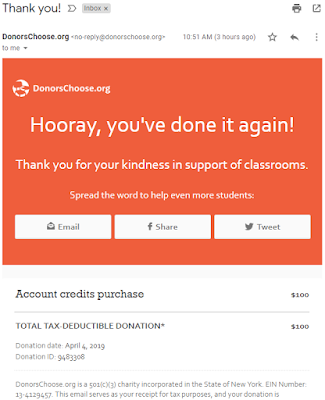 Click on the link "annual receipt and detailed giving history" question. All statements for each year will be in PDF format, signed. your account has been credited. 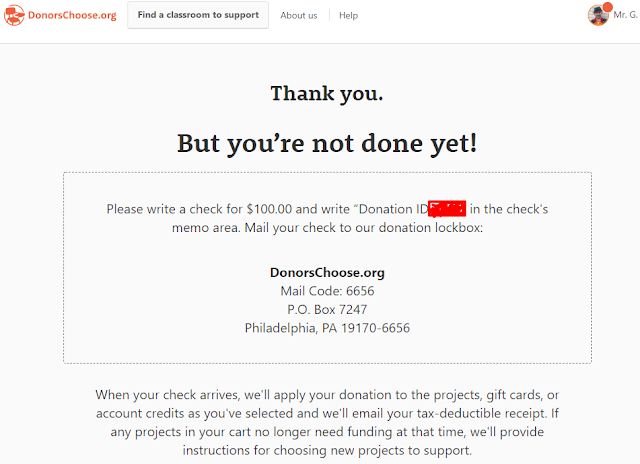 Go to Giving History to view your annual receipt. 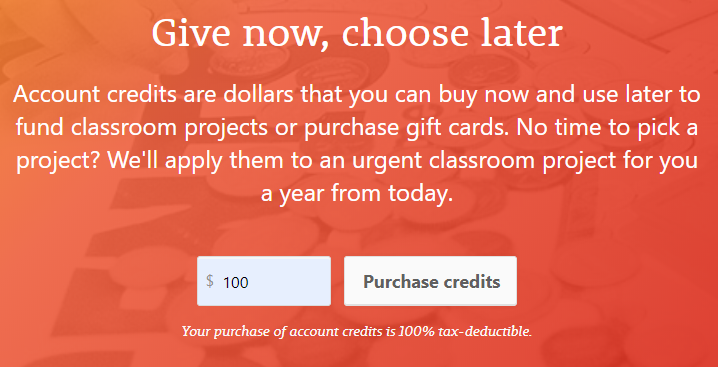 Find a Project and donate any amount. You can always add more. 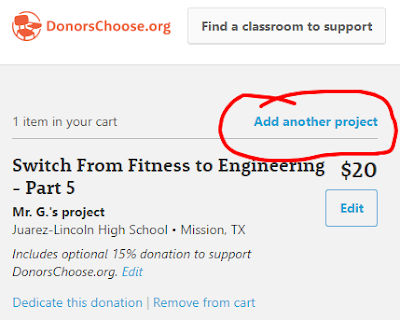 Also, you can use the remaining balance for other projects at another time.